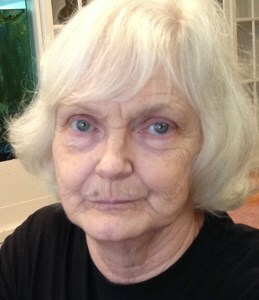 Julie Dobbs, 74, of Liverpool, passed quietly on March 23, 2019 with her family at her side after a lengthy illness. Julie lived in Whitesboro, Texas prior to moving to Liverpool to be near her son’s family. Julie leaves behind sons, Shawn (Kathleen) Surma of NY and Michael McPherson of TN; step-son Christopher (Jennifer) Dobbs; and seven grandchildren, Lauren, Aaron, Ivan, Jake, Julie, Ksenia, and Sarah. She was preceded in death by her husband, David M. Dobbs, also of Whitesboro, Texas. A memorial service will be held at Bellewood Baptist Church, North Syracuse, NY in July. Julie will be laid to rest in Whitesboro TX with a Memorial Service at Bones Chapel, Whitesboro TX, at a later date. Add your memories to the guest book of Julie Dobbs.